We didnt use the mister last year. There is a full tank from the year before. Will it still work. No, we find that even with systems that have automatic agitation, the tank needs to be emptied and refilled at least every 2 months for "optimum" results. 1. Tap water will cause the chemical to degrade. 2 months in a hot container is usually all it takes to make it ineffective. Sitting in a holding tank for a few months without use is even worse. It probably has a sour rotten smell to it. Dump it out, and clean out the the tank with a water hose. 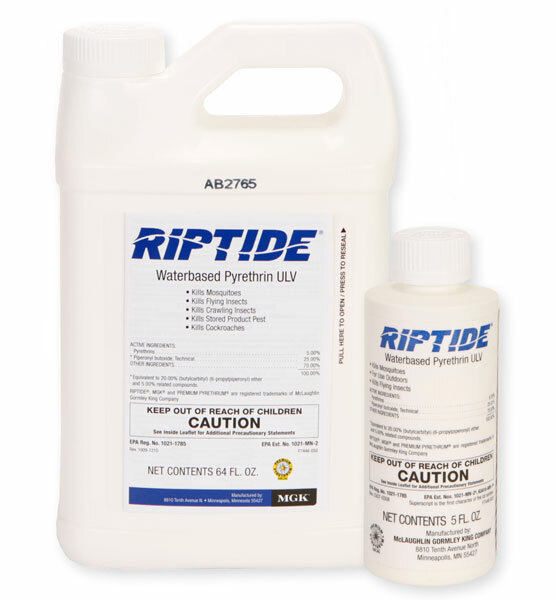 Riptide won't hurt your yard. 2. With Riptide, the pyrethrum eventually separates and "floats" in globs in the water. This "glob" of goey pyrethrum will stop up the intake filter in the tank, and also stop up the filters in the nozzles. A good rule of thumb is to set the Mister duration long enough each day to empty the tank in 60 days. Every 2 months, or less is some cases with more nozzles, use a water hose and completely spray the inside of the holding tank and rinse it out. Then clean the intake filter with the water hose. Next, fill the tank with clean water and then "inspect" or mist and run clean water through the tubing and nozzles for about 5 minutes to clean everything out. If you don't have any clogged nozzles (replace the filter in the nozzle if you do), add the Riptide (1/2 gallon per 55 gallons of water) and fill the holding tank to the top, mixing and spraying the water into the holding tank to completely to mix the Riptide in. If you do this, the chances are that you will have a better operating misting system, and a better kill ratio with fresher chemical. If you are still seeing mosquitoes and want to do something extra, spray the entire yard with Onslaught FastCap, Nyguard and Scrimmage. This is what the pros do. You can either mist it with a BackPack mister, or handspray with a handheld garden type sprayer. We have several hundred of MistAway Systems installed and under service. This is our service protocol.